The alliance is open to all non-commercial mesothelioma stakeholders. Our members include mesothelioma patient/carer advocates, campaigners and charities, and asbestos charities and support groups, campaigners and trade unions. Other organisations may be co-opted onto the UKMA for the duration of a specific asbestos-related campaign, for example. Any non-commercial mesothelioma organisations can request to join the UKMA by emailing info@UKMesoAlliance.org or calling Dawn Mckinley on 0116 296 5230. 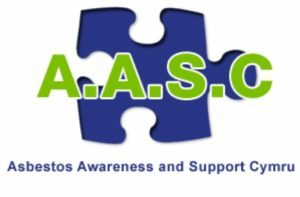 Asbestos Awareness & Support Cymru (AASC) is an independent charity that supports victims of asbestos related illnesses and their families in Wales. AASC provides a dedicated contact number with an answering service that is available 24 hours per day, 365 days per year, offering a signposting service and a listening ear. In addition to offering support, information and guidance, AASC also facilitates a number of events and support group meetings at various locations across South and West Wales throughout the year whilst striving to raise awareness. Asbestos in Schools examines the extent, type and condition of asbestos in schools and the risks to the occupants. The Joint Union Asbestos Committee (JUAC) was founded in 2010 and aims to protect education workers by raising awareness of asbestos in schools and promoting improved management of asbestos in education sector buildings. 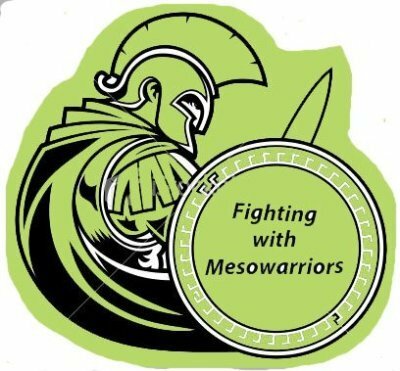 The Asbestos Victims Support Groups Forum UK (AVSGF-UK) is an umbrella organisation representing asbestos victims support groups. The Forum's main purpose is to work collectively to provide one voice for asbestos victims. Since 1990, the British Asbestos Newsletter (BAN) has provided detailed and up-to-date information and analysis on a multiplicity of issues to inform and stimulate efforts to address the country’s asbestos legacy. The newsletter, widely regarded as a contemporaneous and authoritative publication, is a historical document with copies of each issue lodged at the British Library. As the editor of the BAN, Laurie Kazan-Allen works closely with asbestos victims’ groups, trade unions, and politicians, medical and scientific experts to ensure that the welfare of asbestos victims retains a high priority in the national discourse. The British Thoracic Oncology Group (BTOG) is a membership organisation which aims to support and educate health care professionals, creating a community to exchange ideas, information and innovation, and to foster the development of research. The overall aim is to represent the needs of patients and improve their outcomes. 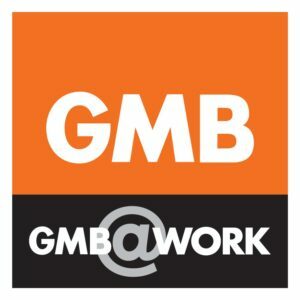 GMB is a campaigning trade union open to any worker, from any industry. The union offers members protection, representation and advice on every issue related to work life. HASAG is a charity dedicated to helping people suffering from asbestos-related diseases and their families throughout the South of England, South East, London and Home Counties. It provides a complete source of help and support for anyone with an asbestos-related disease and their loved ones. The International Ban Asbestos Secretariat (IBAS), established in 1999, provides a conduit for the exchange of information between groups and individuals working to achieve a global asbestos ban and alleviate the damage caused by widespread asbestos use. IBAS channels the views of a network of victims’ groups, medical and legal professionals and concerned individuals to raise awareness of asbestos hazards and provide informed comment on current developments. Its objectives are to achieve a global ban on asbestos and justice for all asbestos victims. The John MacDougall Mesothelioma Trust was established in January 2010 in memory of the Late John MacDougall M.P for Central Fife. John's Daughter Julie felt it was fitting to set this Trust up in John's memory given his own working life and achievements and his dedication to helping others. The trust aims to support quality mesothelioma research projects and to assist the medical research locally by setting up a lecture in Fife. Established in 1997, this mesothelioma charity was named after June Hancock, who successfully sued the asbestos factory owner whose negligence claimed her life. The charity has raised over £1.5 million which is mostly spent on research into diagnosis, and treatment and care for those affected by mesothelioma. Set up by husband and wife Mavis and Ray Nye in 2018, the foundation supports patients and carers with advice and signposting to relevant organisations for support and available trials. Mavis is a patient herself and Ray her carer. They both support others on social media, emails and over the phone. There is an annual get together over a fun weekend, where everyone can meet up, relax and enjoy one another's company. This campaign was launched by Julie Roberts following the death of her dad and uncle. The campaign aims to get mesothelioma acknowledged by the Scottish government and referenced in its Cancer Strategy. Julie would like to see Scotland become one of the world leaders in research, early detection, diagnosis and treatment of mesothelioma, especially as the highest concentration of cases in the UK is in the West of Scotland. Mesothelioma UK is a national resource centre dedicated to providing free specialist information, support and improved treatment and care for those affected by mesothelioma. The charity offers support to patients through a dedicated helpline and a team of specialist nurses, and also works with health care professionals and other organisations to fund research into mesothelioma and drive up standards of care. 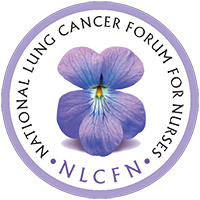 The NLCFN was established in 1999 to provide networking and support to nurses specialising in the care of people with lung cancer. It is a paid membership forum and is open to any specialist nurse who spends more than 50% of their working week or clinical activities in caring for patients with lung cancer. The forum provides clinical support, knowledge sharing, support for research, educational programmes and materials, and a voice for lung cancer nurse specialists. Founded in 1868, the Trades Union Congress (TUC) exists to make the working world a better and safer place for everyone. It brings together more than 5.6 million working people who make up its 49 member unions. The TUC supports trade unions and stands for equality, fairness and justice, and for dignity and respect for all working people. The Institution of Occupational Safety and Healt h (IOSH) is the independent, authoritative voice on all areas of workplace health and safety. It is the biggest health and safety membership organisation in the world and the only Chartered body for health and safety professionals. 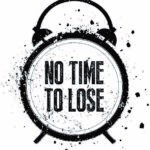 IOSH's No Time to Lose campaign identifies asbestos as the top cause of work-related cancer deaths and aims to help organisations reduce exposures to this and other causes of occupational cancers. Copyright © 2019 UK Mesothelioma Alliance. All rights reserved.